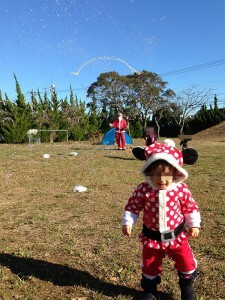 Unlike some parts of Japan where winter brings with it snowfall in December, Isumi enjoys a relatively mild climate in which one can enjoy warm days of bright sunshine even in the run up to Christmas. 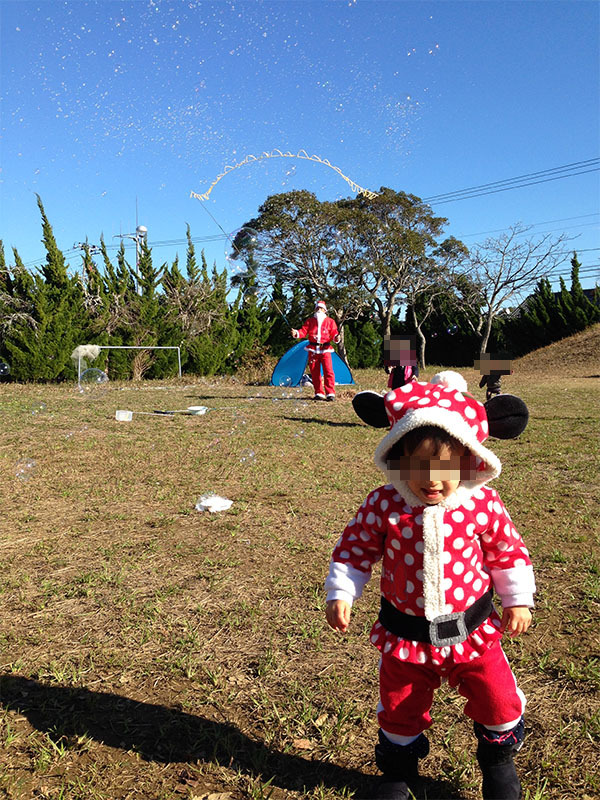 As if to prove this point, at the monthly Chimachi Market held by Isumi Lifestyle Lab on December 11th, a slightly overdressed Santa could be found making brilliant bubbles in a bright green field. With the help of many eager children, Santa created a scene that was both merry and bright. Held on the second Sunday of every month, Chimachi Market provides an opportunity for families to gather and enjoy stalls run by locals selling their foods and their wares. 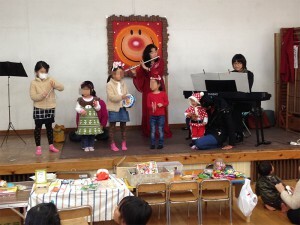 The venue, a former kindergarten, provides both a child friendly environment for the kids and a nostalgic setting for the adults. One that can be enjoyed throughout the year. Another special event to mark the approach of Christmas (that is, in addition to the bubble-blowing Santa Claus) was a flute and piano recital of well-known Christmas songs. Thanks to the talents of the musicians, all assembled were able to enjoy the music and some even sang along. Towards the end of the performance children were also given the chance to participate, with some very enthusiastic bell ringing on their part really adding to the Christmas cheer.